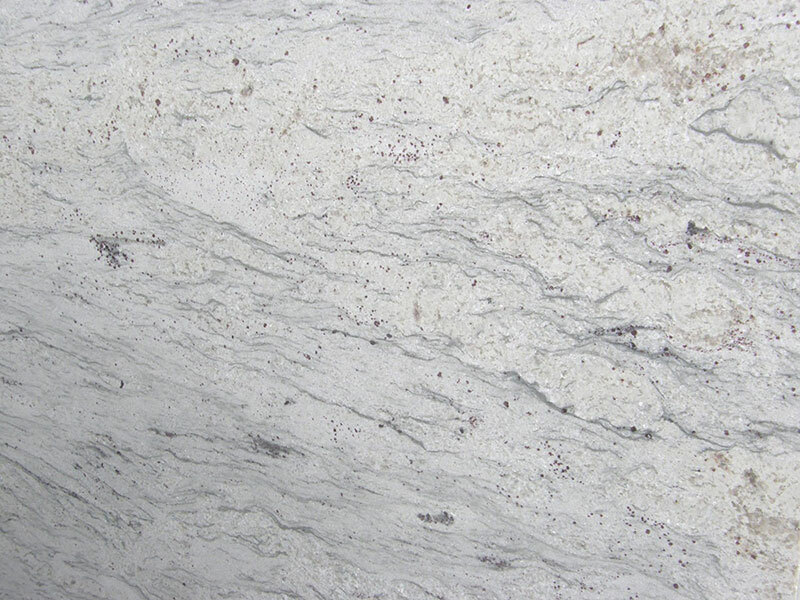 This is one of the most beautiful white granites in existence. 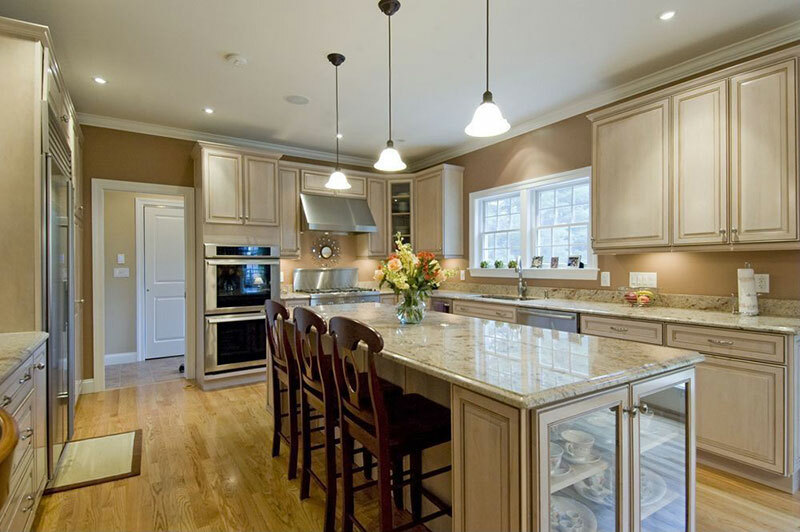 River White granite countertops are quickly becoming hugely popular with demand increasing year on year. 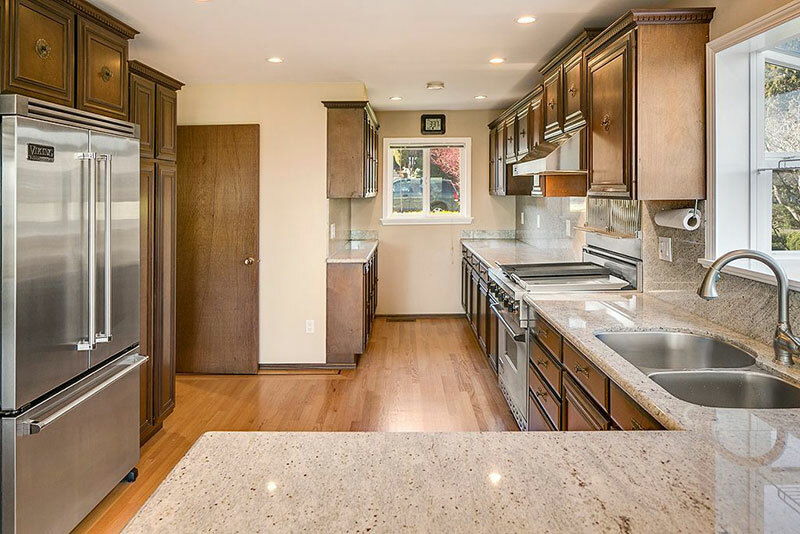 What Is River White Granite? 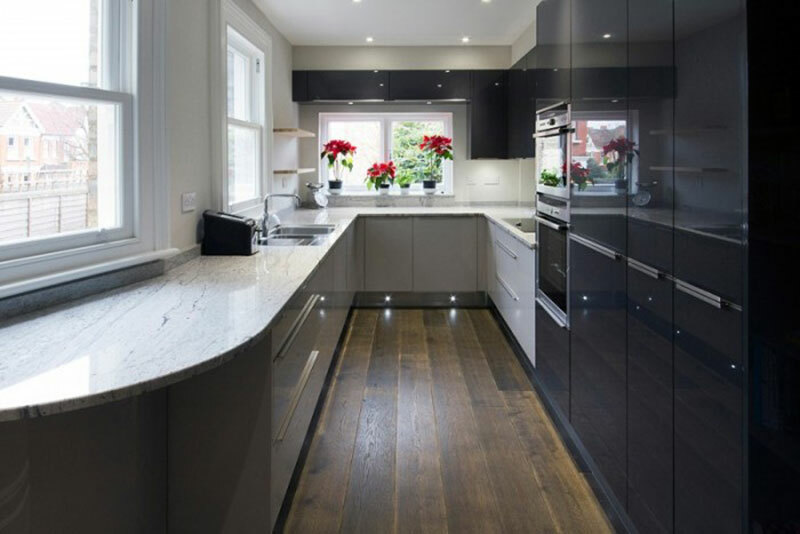 River White Granite is a stunning stone that is only found in a specific region of India. It is found quite abundantly throughout this region and there are several quarries in operation. 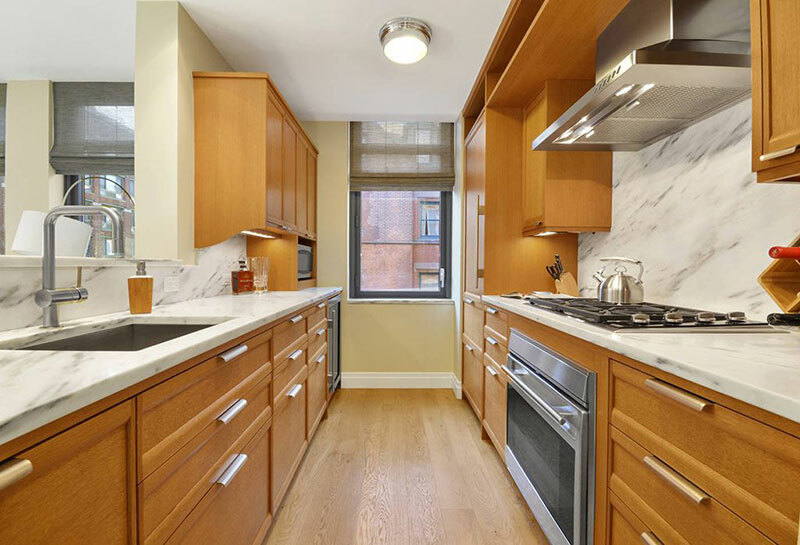 Like all white granites, River White is prone to staining from liquids and heat. Also, any staining that does occur will be very obvious due to the granites reasonably uniform color. Keep River White dry and away from hot pans to ensure it stays looking as good as new for its entire lifetime. 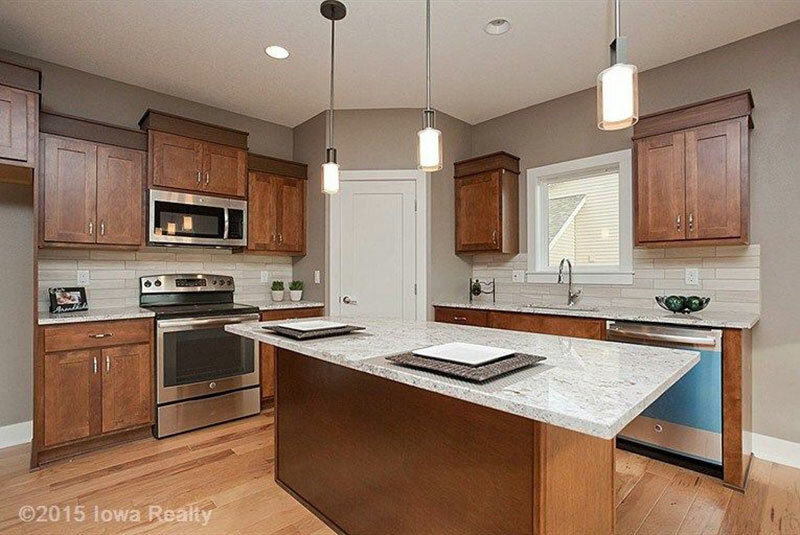 What Color Is River White Granite? 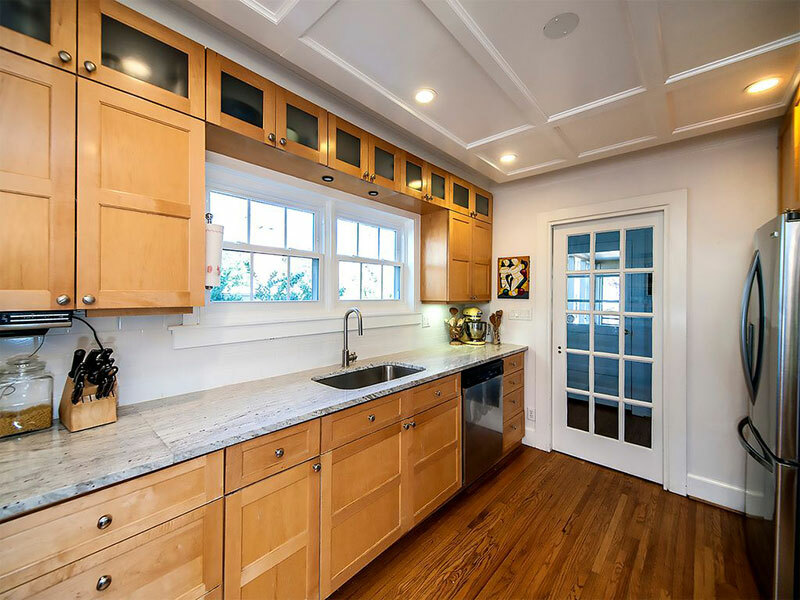 The main color of river white granite is (unsurprisingly) a clean crisp white color which forms the bedrock of the stone. It is littered with light gray veins that are rarely darker than smoke in color. These veins are thin and reasonably infrequent, and because of this it has a very soft overall appearance. What makes River White so special is the large amount of dark red mineral deposits that cover large areas of most River White slabs. They range in color from a dark red, through to a burgundy color. These dark red spots can be found in various sizes across the stone ranging from the size of a pinprick up to the size of a penny – but they are usually somewhere in-between. It really is quite a spectacle to see them in such large quantities. It is uncommon to see areas of any River White slab without red mineral deposits. They equally likely to be found in clusters, or just dotted around on their own. 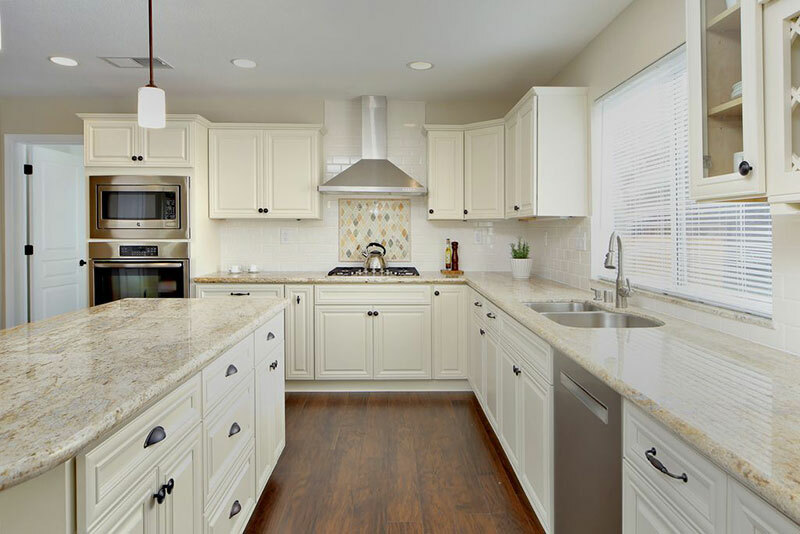 What Cabinet Colors Go Well With River White Granite? We like to think that the crowning jewels of this granite are its beautiful red spots. 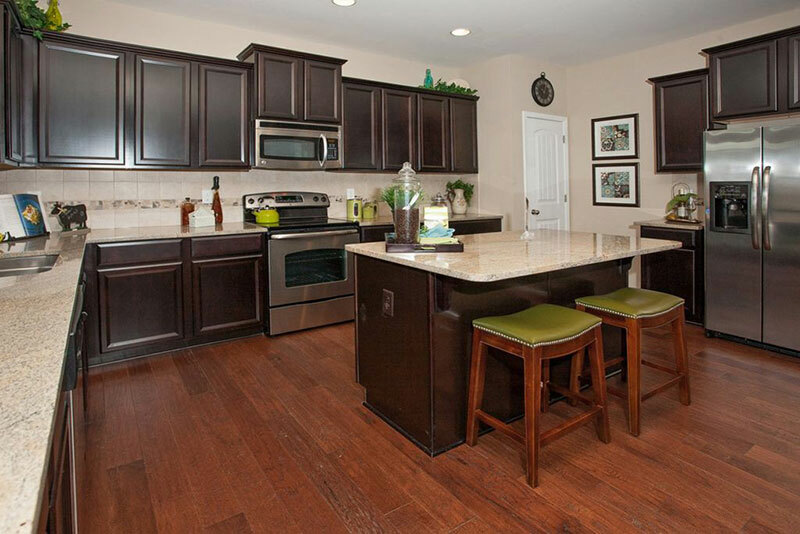 So any cabinet color combination that allows them to remain visible is going to get the thumbs up from us. 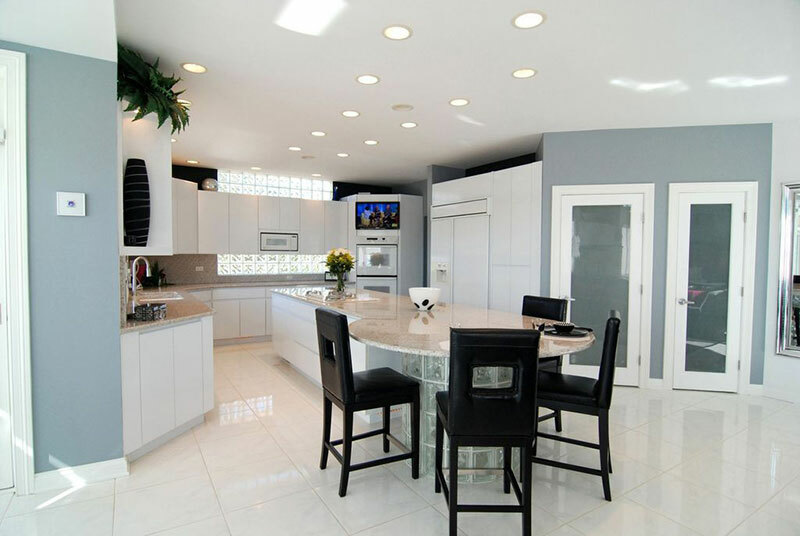 Just like Bianco Romano granite, we think River White granite countertops work very well with white cabinets. The white on white is the perfect way to provide a plain background for the red minerals. It really allows them to stand out and grab your attention. The red minerals are incredible when used like this, and because they are so stunningly beautiful, it gives a sense of magnificence to a room. 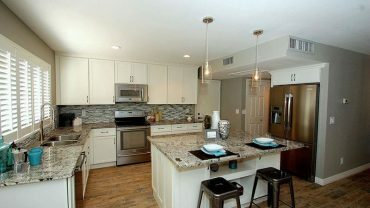 However, we equally think that River White granite countertops can also look excellent with darker cabinets. 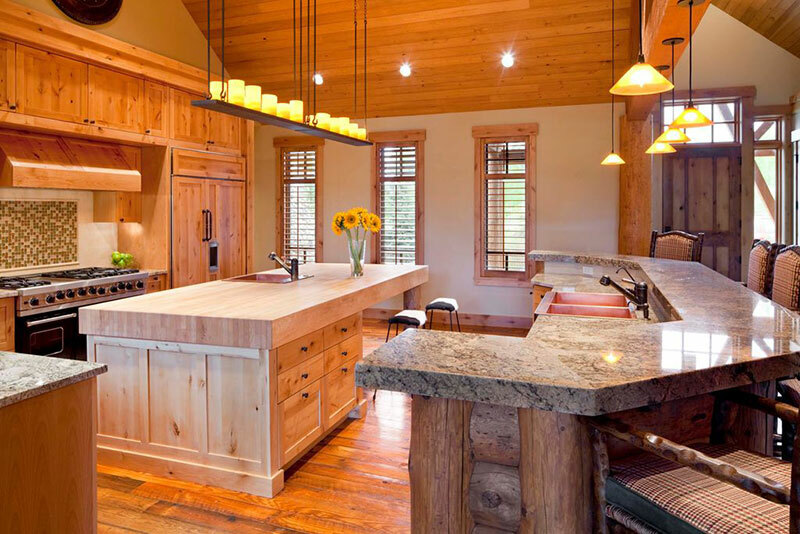 Because of the vast number of red mineral deposits in this granite, they are easily visible regardless of the color of your cabinets. 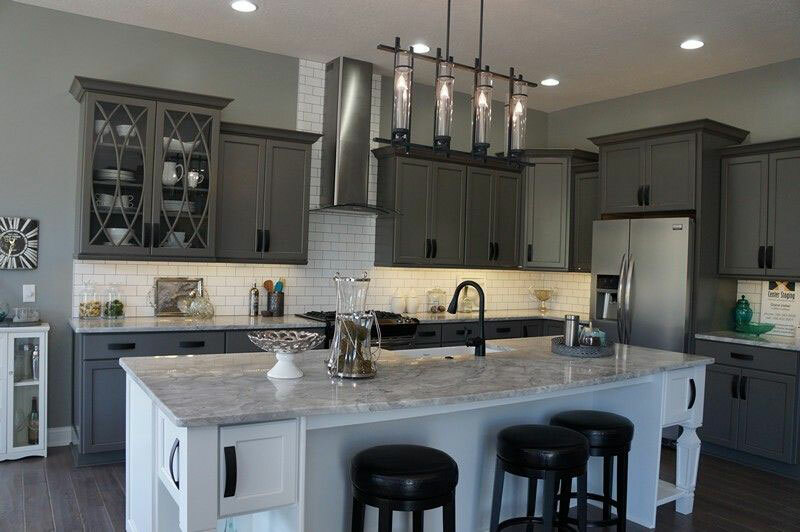 If you do decide to use darker cabinets, the occasionally darker burgundy deposits help tie the cabinets and countertops together. 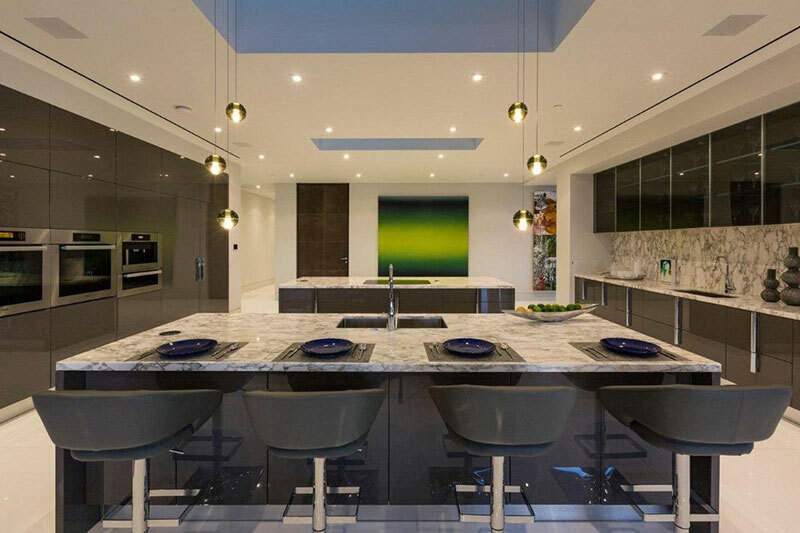 It will still feel like the room flows beautifully – despite there being a reasonable amount of contrast between the white bedrock and the dark cabinets. 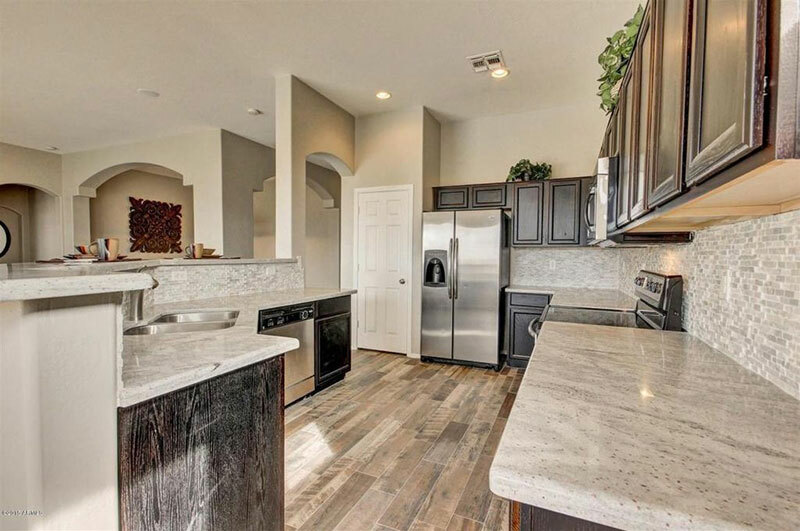 How Much Does River White Granite Countertops Cost? 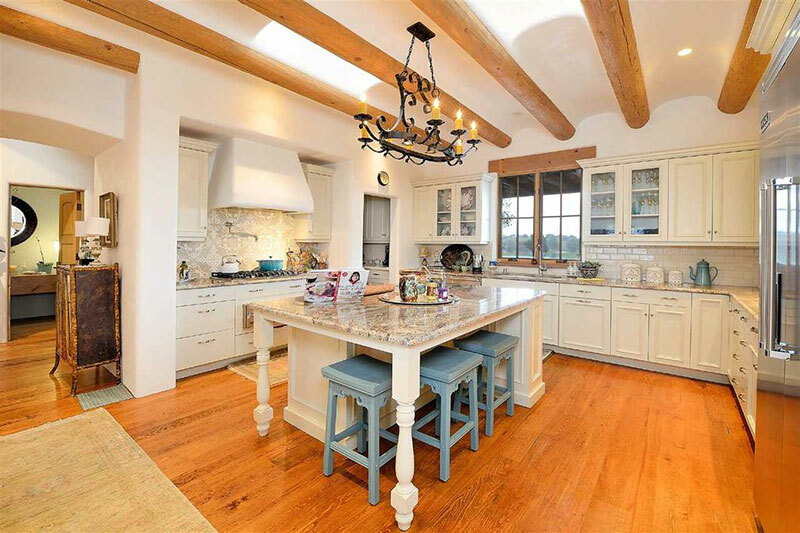 River white granite countertops are in high demand due to their inherent beauty. So you would probably expect them to be expensive. But River White is being dug out of the ground at an exceptional rate – which helps bring the cost down a fair bit. 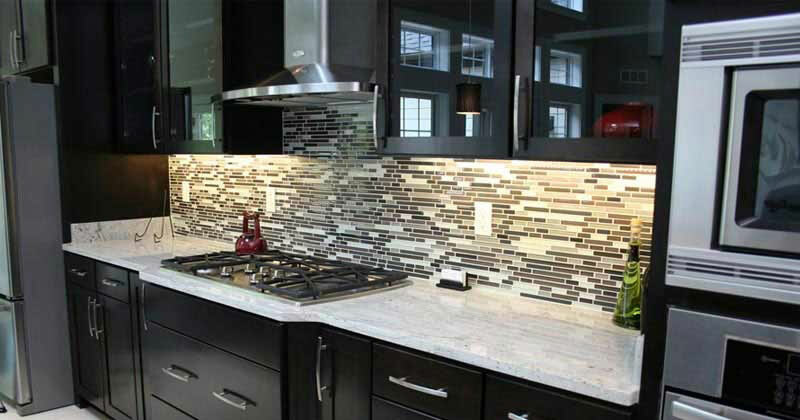 Because of this, it is priced as a mid-range granite. Expect to pay roughly $300 to $400 for a 1.5inch thick square meter slab. 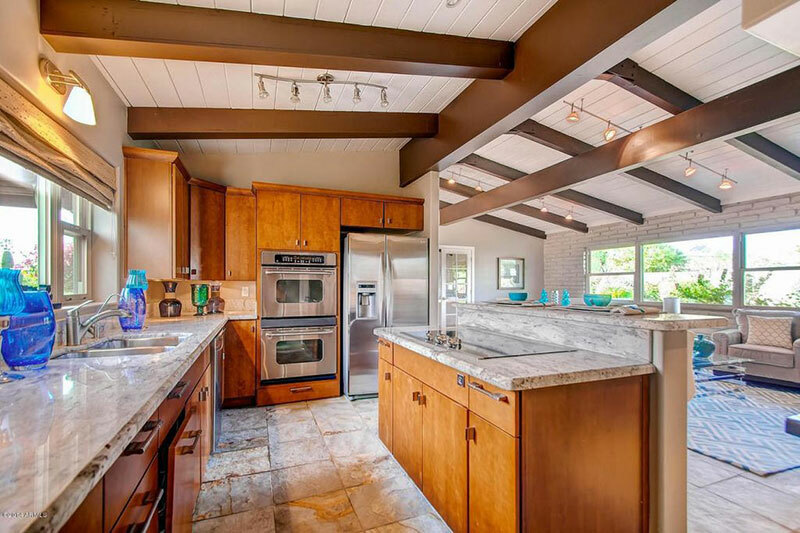 River white granite countertops will allow your kitchen to remain smooth and subtle while adding an astonishing amount of beauty with its large amount of red minerals.